Investing in Outdoor Blinds are a great solution! We all know the vast array of great opportunities living in Australia provides and enjoying the beautiful weather in our ‘sunburnt country’ is one of them. The sun and quality family time in the backyard is one of life’s simple pleasures. However, at certain parts of the day the heat can get a little too hot, so it makes sense to protect yourself and the family with some well thought out shade. Investing in outdoor blinds are a great solution. Not only can they provide a cool retreat for you to escape to, they also provide protection and will complement and enhance your outdoor area, whilst adding a little privacy too. When choosing outdoor blinds you need to think about the weather. Although primarily designed as a shade solution, consideration needs to be given to wind and rain conditions too to ensure the blinds longevity. 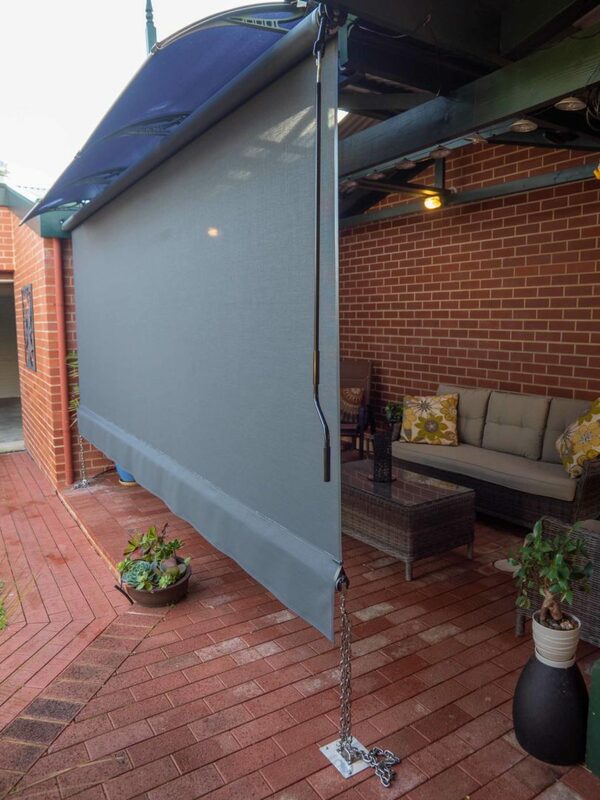 At Australian Outdoor Living we know a thing or two about outdoor blinds so we have put together a few pointers to help guide you through the buying process. Investing in Outdoor Blinds is a great solution. When choosing outdoor blinds for the home, there are 5 key things you need to think about. Yes! There are blinds out there that can maintain your views whilst providing the protection you were originally after too. Ensure you fully understand the versatility of the material that is used, and confirm that the blind material won’t hinder your views. Does the material allow for one way viewing? (This means that you see out, but nobody can see in.) This will keep any nosy neighbours from peeping in! How do you move the blind up and down? Try and stay away from zippers where possible. In our experience, zips that run along a track have a tendency of pulling away from the material when they are rolled down. Also, if track blinds or zipper blinds are exposed to high winds or if someone/something provides enough pressure to the blind, this might also cause the blind to pull away from the track/zippers. Try to keep an eye out for blinds that are easy to use, are free from loose fittings and LOOK GOOD! Do the blinds come in a large range of colours? Is there a colour option that will complement the existing fixtures and features of your home? You might like to ask an Outdoor Blind design consultant for their advice. They will have seen many installations and photos, and might be able to suggest a colour you may not otherwise have considered. Also ask if there are any extras. Some suppliers have the option of a pelmet box, weather flap, anchor points etc. Be sure to look through pictures of previous installations and make it clear as to what you like and don’t like so much. One way to ensure the quality of the shades is to check whether they come with a guarantee. Reputable companies will offer comprehensive guarantees on the blinds. It’s an investment like any other, so a guarantee will offer you peace of mind that if anything does goes amiss, you’ll have it sorted quickly and with minimum fuss. The right outdoor blinds can make a huge difference to your outdoor space, and social life! It’s all about “bringing your indoors outdoors”. To help you make an informed choice we have produced a outdoor blinds buyer’s guide of our own. To download it, click on the link below. We hope it helps to make your shade blinds buying process a little easier. If you have any feedback at all, we ‘d love to hear from you! Be sure to let us know what you think of the guide, give us any suggestions for additional information to add or let us know if you have a question about something we may not have covered.